You may have noticed that the abundance of elephant poop is a reoccurring topic in my recent posts. I dig the stuff—it doesn’t smell, is easy to clean up (just grab a ball and go), and has a surprising amount of practical uses that benefit the local village community. Here are the few that I have seen myself or heard about through the sugarcane stock (versus the grapevine, because that’s what elephants eat… Ok, that was lame). This one just makes sense. Various other types of animal poop are used to help crops grow faster and stronger, so why not tap into elephant poop as well? There certainly is enough of it. The Surin Project has recently begun developing its own brand of organic fertilizer by combining shredded dung with pre-mixed liquid fertilizer. In time, they hope that sales will help to further fund the Project. Until then, volunteers will continue to have “crappy” afternoons shredding poop balls by hand. I find it rather soothing. Why cut down trees when you can simply repurpose some dung? 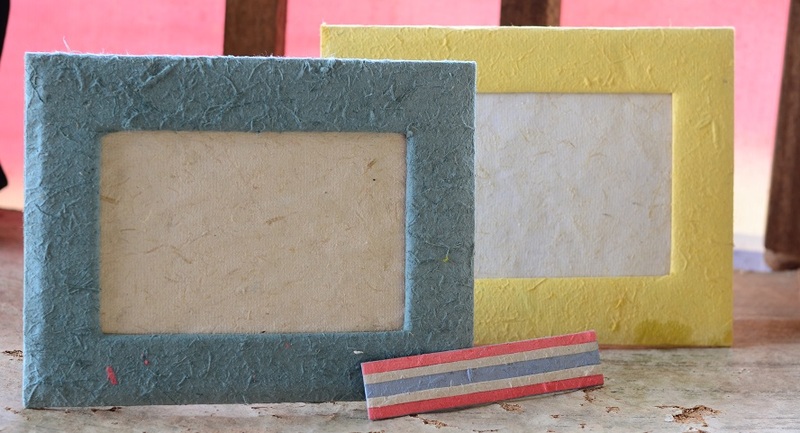 Through a relatively simple process, villagers are able to turn elephant poop into unique paper-based souvenirs, including journals and bookmarks. I think my grandma is going to love her new photo frame. I think it will feature the photo of me sitting on a pile of dung. It has never (and will never) snow in the Surin province, and therefore most people who live here have never seen snow. But this should not deter them from enjoying the best part about snow—snowball fights! Head to the closest dung pile and grab a few balls. While the fresher variety will be heavier and more difficult to throw, the SPLAT upon impact will be well worth the effort. 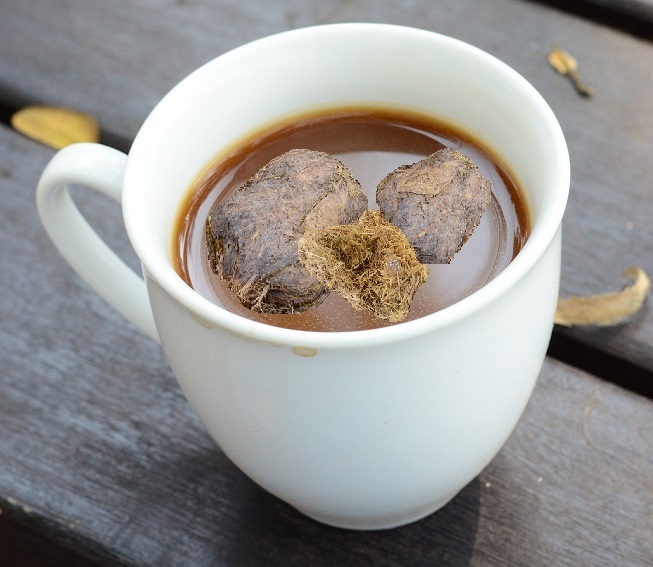 You may have read about this bizarre new trend where elephants are ingesting coffee beans, processing them through their digestive systems, and pooping them out. Then, lucky humans forage through the dung balls to collect the beans. Apparently once ground and brewed, the taste is “earthy in flavor and smooth on the palate.” And for just $50 per cup, you too can say that you drank and truly enjoyed something that tasted like crap. You’ve all seen a typical ball toss at the county fair or Six Flag’s theme park. 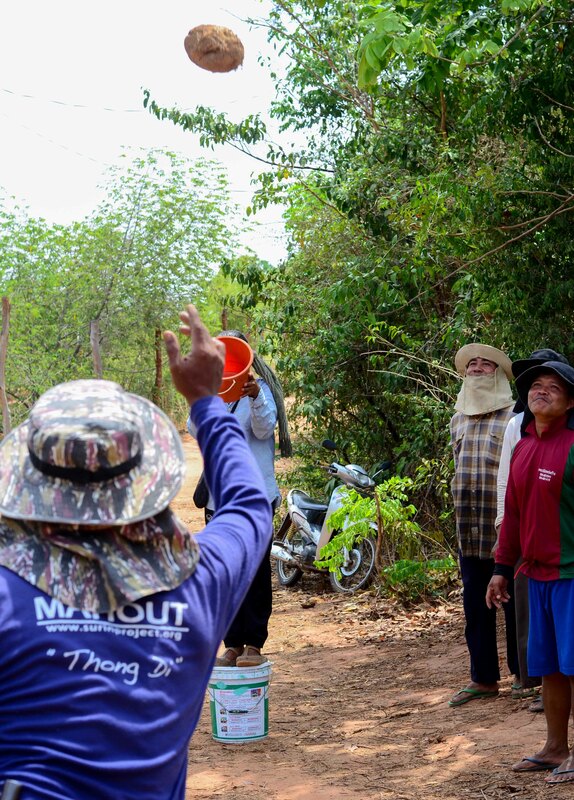 Few, however, have seen 12 mahouts and 12 farangs (foreigners) tossing balls of elephant poop towards one another in hopes of landing the dung in the basket and winning a coveted juice box. I have seen this phenomenon, and it is glorious. Life is simpler here, and I’m into it. 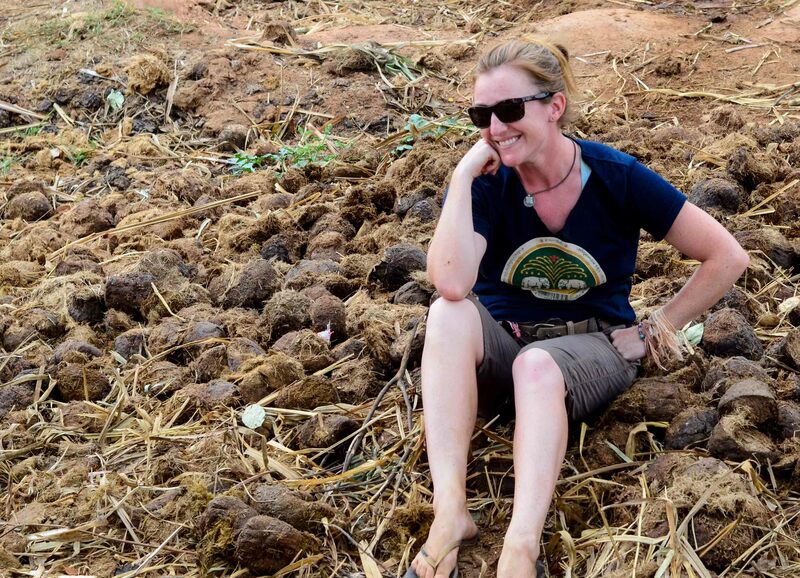 If you have further elephant dung-related knowledge, please share it below. I’m quite interested in expanding my knowledge base on the subject. Tiger Spoon Train... All Aboard! Hahaha! Thanks for that Paula! I am having coffee with you this morning, Ali. Sadly, it’s not the stuff you describe above but it’s still good. I brought it back from Honduras and I wish you were here to enjoy it with me but it’s okay. I’m going to sit here and get caught up on your blogs while the rest of the fam is still sleeping. Love you! I love that Karen! I’m sure your coffee is just as good as the poop coffee, just a less inventive marketing plan! Miss you and hope to see you this summer! I am hoping to visit the Surin Elephant Project,I really enjoyed reading your ele posts! !can I please ask you though were there any large ‘SPIDERS’ lurking around,especially in the homestay accommodation,I guess they might be in the bathrooms,but were they in the bedrooms??? Your time there sounds great,did you get to spend alot of time with the elephants,and how did you find the work load?? Thanks for reading and for posting your question. Thinking back, I don’t remember encountering any spiders of note while at the Surin Project. Ants were a far larger problem in both the bathrooms and on the decks outside the rooms, but spiders stayed hidden. We got to spend around four hours with the elephants each day, typically on walks. There are also additional opportunities to spend time with individual elephants while they are on their chains, as long as the mahout was around. I absolutely fell in love with Tang Mo and would hang out with her every chance I could. I would generally classify the workload as “light to medium,” although there are plenty of opportunities to help out in additional ways if you want to put in more effort. For example, my friend really liked cutting bamboo with a machete (for building a new observation platform) and must have cut twice as many as me. Whatever floats your boat! Let me know if you have any additional questions as I’m happy to help! 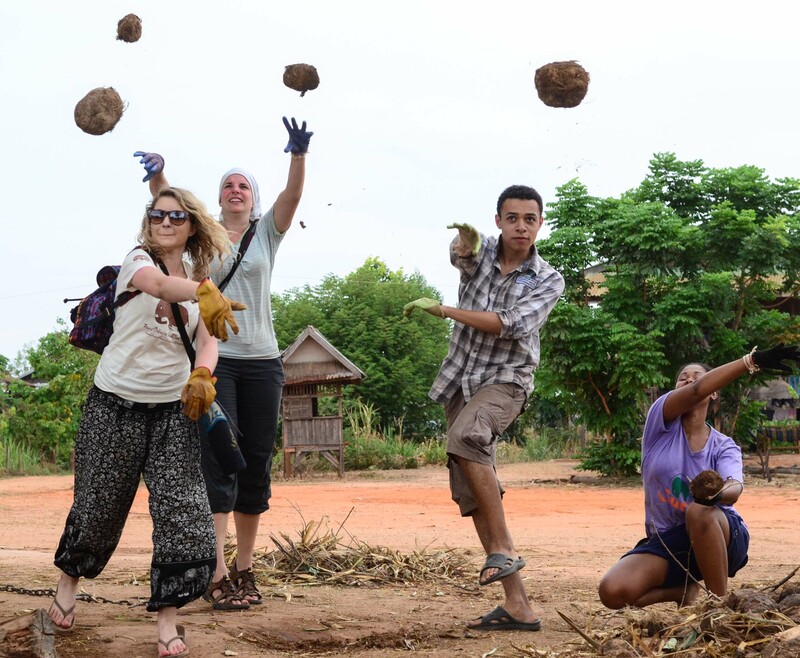 Enjoy your time at the Surin Project!! IN INDIA, ITS SMOKE IS USED TO PREVENT THE ITCHING ON THE BODY OF CHICKEN POX PATIENTS. I have a question here. How to process elephant dung so that it is safe to use in my edible vegetable garden? I read from above that the elephant dung is 100% bacteria free. Do I need to keep them for several months before I use them? Is it same as cow dung that the elephant dung won’t burn the rooting system of the plant. Thank you very much for your attention. Your prompt reply will be very much appreciated. Apologies for the delay! While I didn’t know the answer to your question, I found a few articles that were quite helpful. 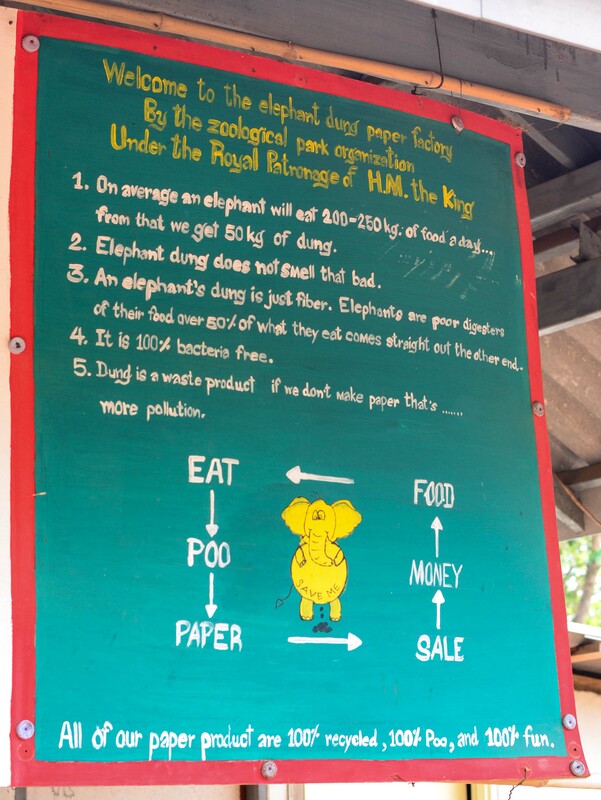 While elephant dung paper is bacteria free (it is boiled to separate the fibers), elephant dung itself is not. That said, you should be able to use it as fertilizer right away without risk of it burning your plants. Check out this post for more info: http://www.streetdirectory.com/travel_guide/194577/gardening/true_organic_fertilizer_manure_and_muck.html. Do not overlook the fact that the averge elephant plants 200,000 tree seeds a year through its dung. for more information on this interesting topic! It can also be used as medicine for high blood pressure, boil and drink the water.